Mythic Challenges is a tool set that helps writers use Mythic Themes, Archetypes and Symbols to tell unique stories for a global audience that moves them to awareness and action. Mythology expert Pamela Jaye Smith partnered with Jill Gurr (and Brian Dyer) to develop this special method of generating powerful stories that can impact our planet. The pilot program worked with students in LA and Afghanistan, in conjunction with the US State Department, helping the young media-makers craft short award-winning films that address some of the 15 Global Challenges. No matter your plot or topic, you can seamlessly weave in the issues we all face, no matter our age, gender, ethnicity or location. Main plot, sub-plot, background, main characters, minor characters and symbolism give your children’s book a “message” to help align it with the hundreds of organizations and millions of interested people worldwide. Jill and Pamela will share how you too can use these timeless tools to make your already entertaining stories work in even bigger ways. Besides the Mythic Challenges tools, they will also present tips about how to break into the entertainment industry, including via Pamela's Pitch Proxy service. They’ll present formats for Pitch Materials: Logline, Pitch, Synopsis – and will share what they’ve learned doing hundreds of pitches of books and scripts at many, many PitchFests. Pamela and Jill will provide some fun writing and improvisation exercises to teach you how to promote your books to the entertainment industry. They'll also listen to some of your pitches and give you feedback about how to enhance them. Both of our speakers have decades of experience in the film industry and much success in promoting their books and screenplays to film producers, agents and network executives both at PitchFests and in one-on-one meetings. 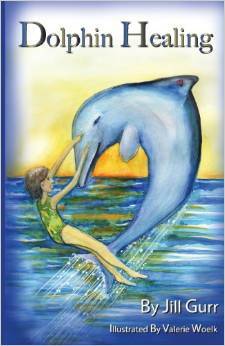 JILL GURR self-published her children's chapter book Dolphin Healing about a 10-year old girl fighting cancer who is inspired to live through her friendship with a dolphin. She'll talk about the research that went into the project, including the best system for publishing her three books. Jill is the founder of Create Now, a nonprofit that helps troubled children through arts mentoring, and the author of Mentor Youth Now: A Guidebook for Transforming Young Lives, a practical and inspiring guidebook to passing on your experience and expertise to young creatives, while also learning from kids about what makes them tick. Jill is also a screenwriter. Two of her scripts were produced with name actors and several screenplays were optioned.Jill was also a Script Supervisor on award-winning movies for many years, working with major celebrities in exotic locations all over the world. PAMELA JAYE SMITH is a writer, international consultant-speaker, and award-winning producer/director with over thirty years experience in the media industry. 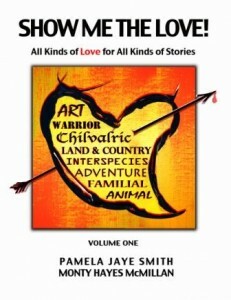 Pamela is the author of 5 books for writers including the new self-published SHOW ME THE LOVE! She is the co-author of two children’s books and also writes short stories and articles. Her company MYTHWORKS helps media-makers improve their stories, find and live their personal myths, and better present their projects to producers and the public. DOLPHIN HEALING includes 18 detailed illustrations by artist Valerie Woelk. Being bullied makes Julie feel miserable, but she has a bigger challenge to overcome when she discovers that she has cancer and must stay in the hospital for treatment. Julie returns to school after losing all her hair. Classmate Danny embarrasses her in front of the entire class. She runs away to her secret spot where she meets Dreamer. He's a special dolphin and through their friendship, she heals. Julie learns from a marine biologist that the owner of the local fishery where her mother works is killing dolphins to capture tuna fish. Julie becomes an activist to save dolphins from the nets. However, after a very traumatic experience where she loses her best friend, the cancer returns. Julie is dying and nothing can save her, but just when there's no hope for her recovery, she learns a visualization technique. She discovers that her thoughts and feelings can affect her disease. As she regains good health and self-confidence, her popularity soars and she receives support. Julie is finally able to help save the dolphins. She becomes cherished by her new friends, and people from all over the world. A rich resource, new ideas, and a comprehensive, practical guide to using the dynamic and dramatic power of LOVE in all your stories. For undefined Writers, Directors, Actors, Directors of Photography, Production Designers, Composers, and Sound Designers as well as Development Execs, Producers, Publishers, and Marketers. Understanding the deeper drives that affect how we act, react, and understand will give you better tools with which to create and motivate your characters and stories along their transformational arcs. Readers and viewers of all types of media may also find this information will enhance their understanding and enjoyment. Jill was also a Script Supervisor on award-winning movies for many years, working with major celebrities in exotic locations all over the world.